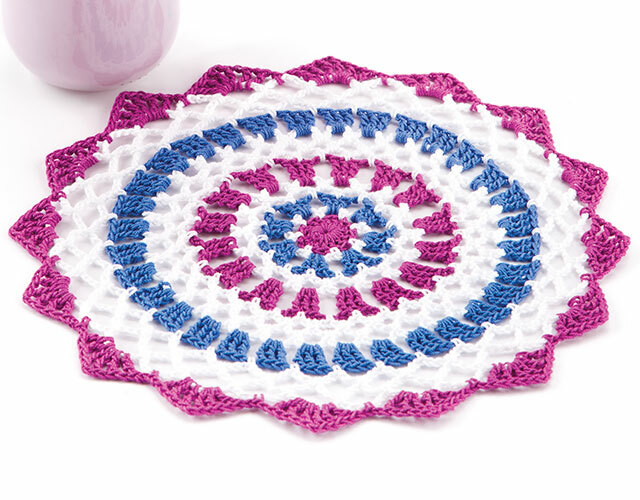 Join Susan Lowman as she demonstrates a beginner's doily round by round, using both written and symbol instructions. Find out more in the Class Description below. Super instructor - especially appreciate the way she shows joining new colours, and where to put the hook. I finally understand 'chain space' thanks to this class. I needed the 60 and 90 second repeat feature several times during my first viewing of this class so I know I will be watching the entire class a few more times to be sure I have a full understanding of the stitching and hook placements. Even though I have been crocheting for many years, I enjoyed the class. I have always wanted to crochet doilies but did not feel very comfortable working with thread. The class was easy follow and made me feel more confident with thread, plus it provided tips on reading symbol crochet. A very easy class to enjoy and understand. I would recommend this class to any beginner to thread crochet. The filming makes it very easy to see what is happening. Really enjoy this class the teacher is great and she is very easy to understand and if she ever wants to do a class on making a granny square snowflake blanket I will be there with bells on.